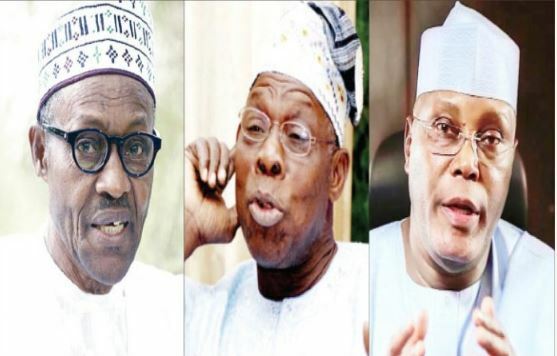 Before now, the general belief amongst Nigerians is that no presidential candidate can win an election if he is not backed by former President Olusegun Obasanjo. Having successfully enthroned the late Umaru Yar’Adua in 2007, Goodluck Jonathan in 2011, Obasanjo fell out with Jonathan in the 2015 presidential election and threw his weight behind General (now President) Muhammadu Buhari. Jonathan, candidate of the Peoples Democratic Party (PDP) lost and Buhari who flew the flag of the then opposition All Progressives Congress (APC) was sworn-in as President. Expectedly, Obasanjo who is reputed not to see anything good in his successors discontinued his support for President Buhari months to the 2019 presidential election. In January 2018, the Owu-born general released a ‘special press statement’ where he cautioned President Buhari against re-contesting for the 2019 general elections, among others. In the statement titled “THE WAY OUT: A CLARION CALL FOR COALITION FOR NIGERIA MOVEMENT,” Obasanjo raised some issues of national importance especially regarding Buhari’s reelection. “He needs to have time to reflect, refurbish physically and recoup and after appropriate rest, once again, join the stock of Nigerian leaders whose experience, influence, wisdom and outreach can be deployed on the side line for the good of the country,” Obasanjo counselled. He charged Nigerians “to do the extra-ordinary things of changing the course and direction of our lacklustre performance and development” as a nation. “If leadership fails, citizens must not fail and there lies the beauty and importance of democracy. We are challenged by the current situation; we must neither adopt spirit of cowardice nor timidity let alone impotence but must be sustained by courage, determination and commitment to say and do and to persist until we achieve upliftment for Nigeria,” he urged. Obasanjo, later backed Atiku Abubakar, the PDP presidential candidate for the elections whom he had vilified in his book ‘My Watch’ describing him as a corrupt person who cannot be trusted. Atiku, who was Obasanjo’s deputy from 1999 to 2007. Following a peace meeting with Obasanjo in his Ota farm, the former Head of State even addressed Atiku as the President-in-waiting. “Let me start by congratulating President-to-be, Atiku Abubakar, for his success at the recent PDP Primary and I took note of his gracious remarks in his acceptance speech that it all started here. Yes, when it started, it was meant for Atiku to succeed Obasanjo. “First, know who you are and present yourself as you are – a human being in blood and flesh and susceptible to human mistakes and human frailties. Don’t cover up with sanctimonious veneer of bogus integrity, incorruptibility, uprightness, goodness and false figures and statistics, all of which are contrived to deceive, to cheat, to plunder and to destroy. “Atiku never claimed to be a saint and I never described him as such. I will never so describe any human being alive let alone calling him a Messiah. On an occasion in the past when I said that someone was not a Messiah, some Nigerians out of bad belle were up in arms. For me, as a Christian, the only Messiah I know and have is Jesus Christ and even then, the man aspect of Him was imperfect while the divine aspect of Him was perfectly messianic. “Secondly, a leader must be honest to himself and to the people he serves or he wants to serve. He must identify and acknowledge his situation, mistakes, shortcomings and inadequacy; show remorse where and when he has erred, seek forgiveness and repent; and not passing the bulk or keep blaming others and fail to accept responsibility”. “Atiku accepts responsibility for his mistakes, shows remorse and seeks forgiveness from his political party and subsequently from Nigerians. He asks for forgiveness from me and as a believer, a Christian as such, I forgave him in accordance with the teaching and instruction of my Saviour”. Based on his past records, many believe with Obasanjo’s backing, Atiku will win the election by a landslide. However, not only has Buhari been reelected, he also defeated Obasanjo in his polling unit. In his words, Prof. Itse Sagay (SAN), Chairman of the Presidential Advisory Committee Against Corruption (PACAC) said Obasanjo will be silenced forever politically after the 2019 general elections. “Buhari’s victory at Obasanjo’s polling unit is a foretelling of the rout that is coming. It shows you that Obasanjo is with himself alone. He has no following anywhere in Nigeria”. “I have said it before that Obasanjo is going to be demystified in this election. Politically, he is going to be buried in this presidential election. After this election, we won’t hear from him again. His arrogance and overbearing nature has just been too much for this polity” he said.